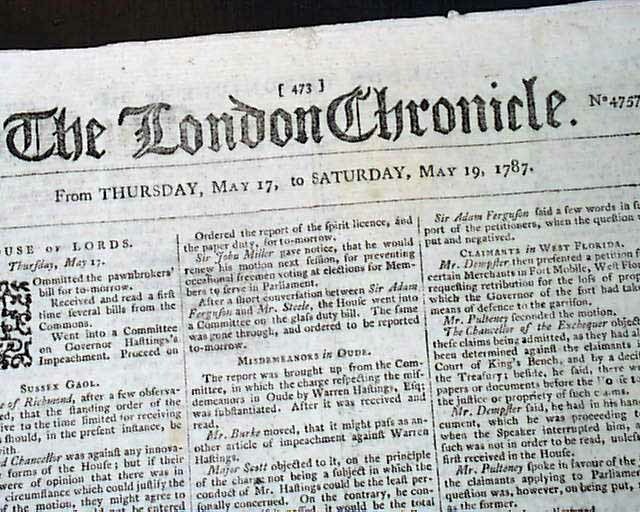 THE LONDON CHRONICLE, England, May 19, 1787 Inside has a very rare, early account of a visit to California as part of a voyage to explore the Bering Sea (off Alaska) by Jean-François de Galaup de la Pérouse. It notes in part: "...following melancholy intelligence imparted by one of the companions of Mons. 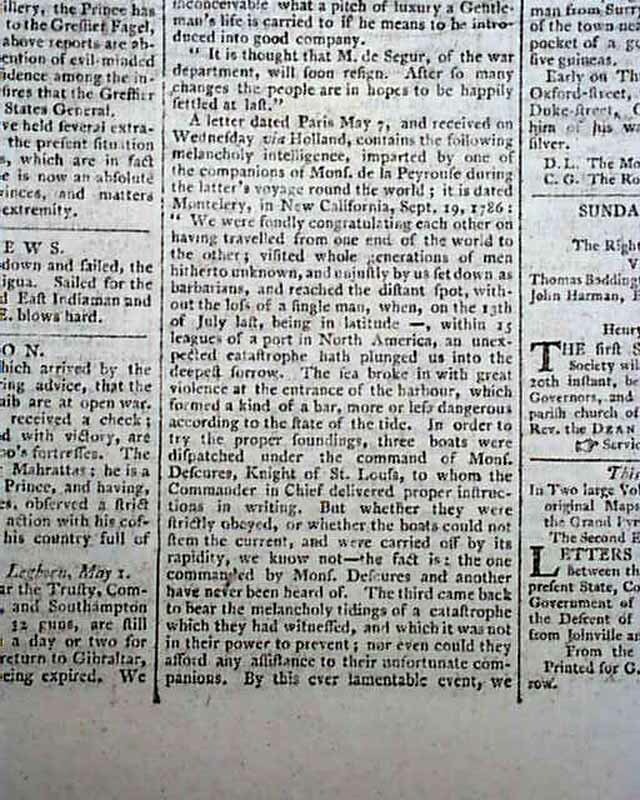 de la Peyrouse during the latter's voyage round the world; it is dated Montelery [Monterey], in new California, Sept. 19, 1786: We were fondly congratulating each other on having traveled from one end of the world to the other; visited whole generations of men hitherto unknown & unjustly by set down as barbarians and reached the distant spot, without the loss of a single man..." and then goes on to report a disaster resulting in the death of 20. 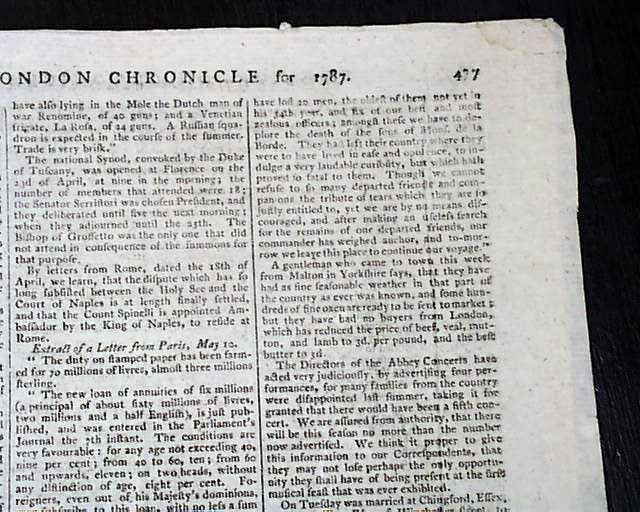 The internet provides much more detail of this trip, noting that they arrived in Monterey on Sept. 14, 1786, giving details of the very event (in present-day Alaska) noted in this newspaper, which happened on July 13. 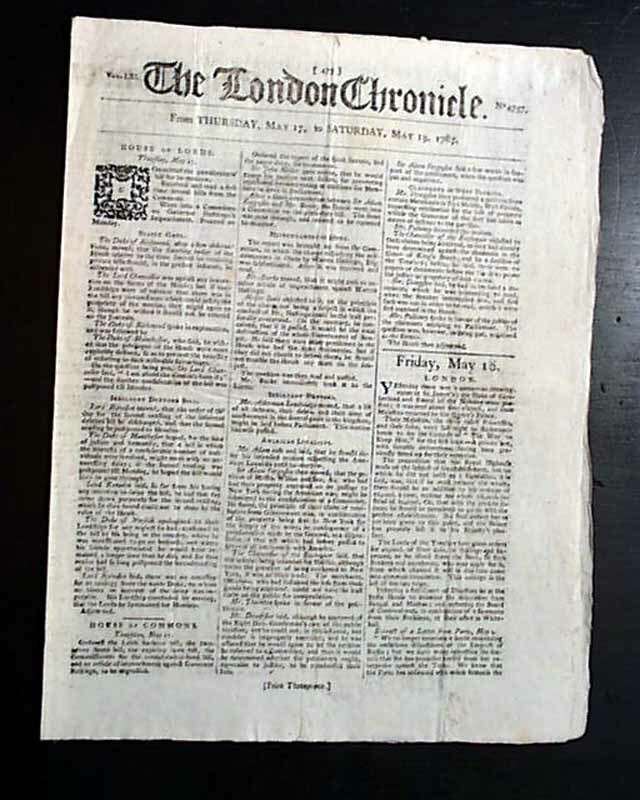 This is perhaps the earliest newspaper reports datelined from California we have offered, and a notable event as well. Also of interest is a ftpg. 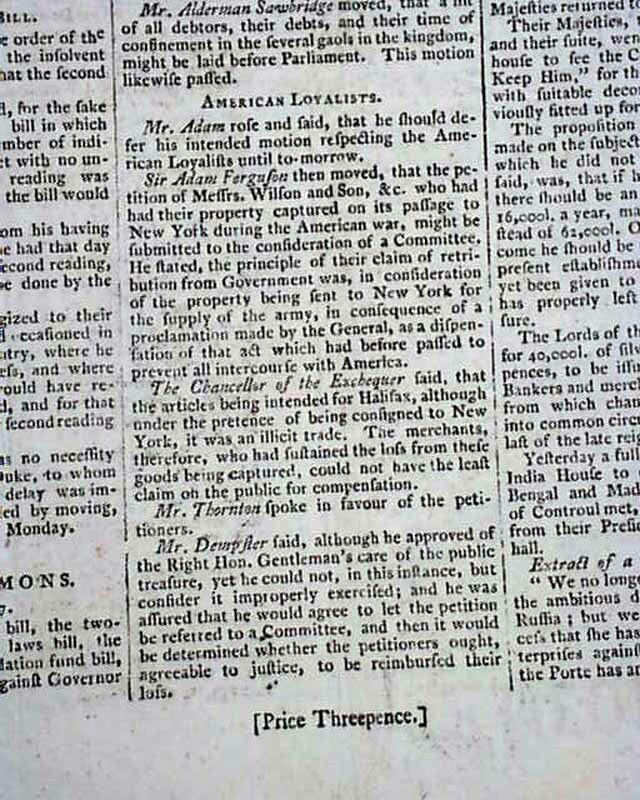 item: "American Loyalists" concerning the plight of those who favored the King of England during the Rev. War. 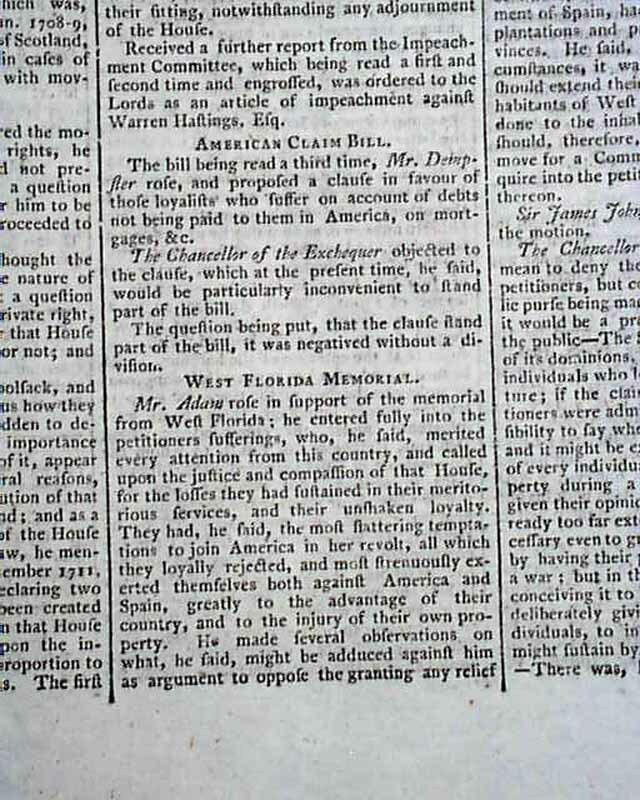 And another smaller item inside from the House of Commons: "American Claim Bill" on the third reading of: "...a clause in favour of those loyalists who suffer on account of debts not being paid to them in America on mortgages, etc." Eight pages, never bound nor trimmed, 9 by 12 inches, very nice condition.